How do I set permissions for a Data Source? There may be scenarios when you want to invite a User to your Databox Account, but you don't want them to have access to all of your connected Data Sources. In this document, we'll walk through how to restrict access and set permissions for connected Data Sources in your Databox Account. Log in to the Databox web application. Click on the arrow next to Edit to reveal a dropdown list. Select Data permissions. This will open a window that lists all users in your Account. To restrict access to the Data Source, de-select the checkmark next to the specific User's name. 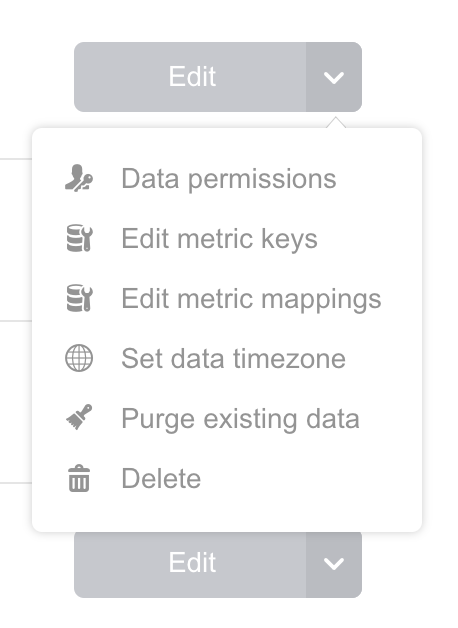 This sets the permissions for the specific Data Source and all associated Users. Click Save to finalize these settings. When a User has access to a Data Source, they can build new Databoards, set up Scorecards, etc. using data from that specific Data Source.